“…on a still night, when the campfire is low and the Pleiades have climbed over the rimrocks, sit quietly and listen for a wolf to howl, and think hard of everything you have seen and tried to understand. Then you may hear it – a vast pulsing harmony – its score inscribed on a thousand hills, its notes the lives and deaths of plants and animals, its rhythms spanning the seconds and the centuries.” – From Aldo Leopold’s Sand County Almanac. My fascination with wolves began at a young age, triggered when I read for the first time, but not the last, Jack London’s “Call of the Wild.” I discovered the book when I about eight years old among my late grandfather’s book collection. Down through the years I read many more books that encouraged this love affair, including “Never Cry Wolf,” that details the summer the author spent observing wild wolves in the Arctic tundra. I longed see one of these wild creatures outside of a zoo. But given the way we humans had been eradicating these animals for decades, it was a miracle I doubted would ever happen. Then it did, in 2005. I was traveling in Yellowstone with my youngest son. We had stopped at an overlook to check out an unkindness of ravens in some trees, as were other visitors to the park. Or so we thought. We finally noticed that humans and birds alike were focused on something moving on the far side of the small pond below. When I saw it was a wolf, I was almost afraid to breathe. Here was nature at its purest. One of the wolves at Wolf Park in Battle Ground, Indiana. The overlook placed the wolf center stage while the morning sun, just capping a ridge to our east, spotlighted it. The wolf ignored our presence until a small dog, left in a vehicle by its owner, began yapping. Only then did the wolf tilt its head in our direction. It clearly knew we pitiful humans were watching. The barking dog, as if feeling the heat from that glance, became silent, and the wolf again continued its ground-covering stride. Through my birding telescope I could almost count the hairs on the wolf’s back. In comparison to seeing a wolf in the wild, which I would rate 20-plus on a 10-point scale, Wolf Park in Battle Ground, Indiana, was a mere 10. I arrived at the park just in time for an afternoon guided tour of the 75-acre grounds. While much more than a zoo, the wolves here were not free and only half wild. Wolf Park is a research facility, created to allow researchers to make closer observations of these animals than would be possible in the wild. 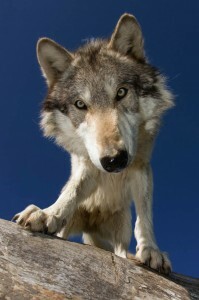 While the wolves are kept in large enclosures that encourage them to form, and live, in packs as they would in the wild, they have been conditioned to human contact to facilitate researchers. This begins when they are only a couple of weeks old, at which time they are removed from their wolf mothers and given to human mothers to continue raising. At about four months old, the cubs are returned to their packs. A tour guide explained all this as he walked us around the park. His spiel included a genealogy of the pack affiliations, and stories about the personalities of each of the park’s 24 wolves. I was fascinated. I returned to the park later that night for the weekly Friday Night Howl, and found myself sitting on bleachers in front of a large fenced enclosure. A couple of staff members entered the compound and were greeted enthusiastically by the wolves, much as my daughter’s Great Dane, Tara, greets me. She is extremely loving, but if I’m not careful of my stance, she could easily bowl me over. With the greeting between humans and animals completed, the staffers talked a bit about the work at the park, and then invited us to start howling to encourage the wolves’ response. I found the howling a bit weird at first. I didn’t sound at all like a wolf. Tristan seemed to agree – and looked at us humans as if we were missing our brains. 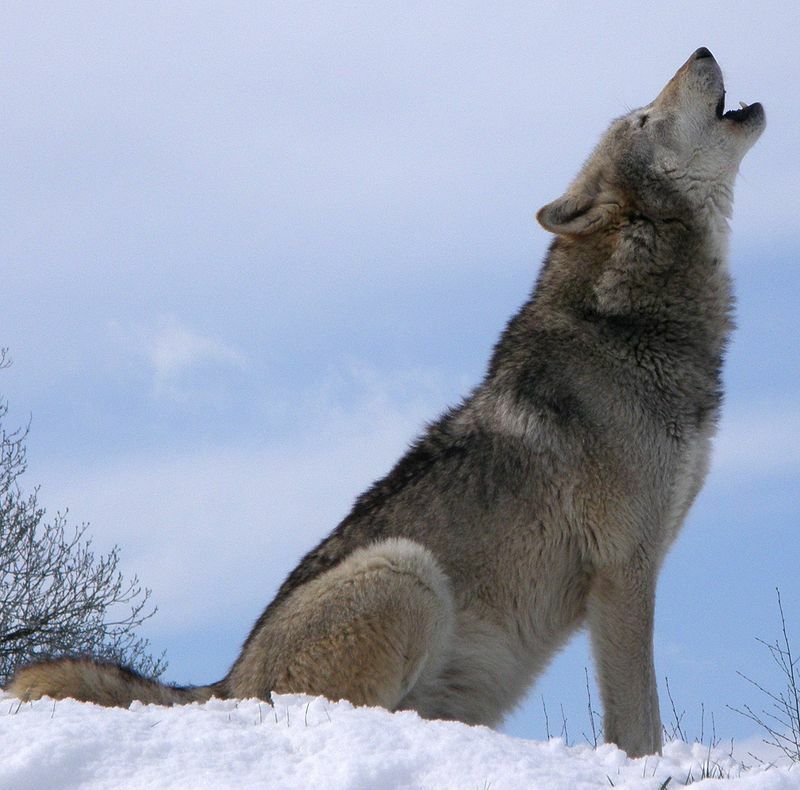 But just then, somewhere in the background, one of the wolves from a different pack howled. Tristan answered the wild night song. Other members of his pack quickly joined him. The chorus of human and wolf howls went on for a while, but at some point, I stopped howling and simply listened, feeling a freedom in my soul that I find hard to describe. It’s a writer’s block that actually gives me pleasure. When I began my human, screechy imitation of a wolf’s howls again, Tristan gave me a disdainful stare. Then, never taking his eyes from mine, he decided to take pity on this mere human and howled with me. Shivers of delight rolled up my spine. It is a moment I will never forget. 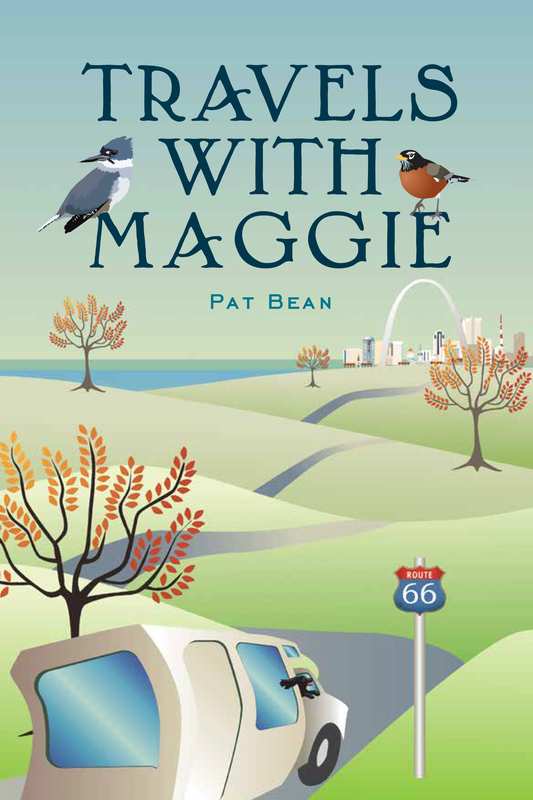 The above essay is a short piece from my book Travels with Maggie, which — to toot my own horn – would make a great Christmas gift for travel enthusiasts, especially RVers. You can get it on Amazon. Bean Pat: Window into the woods https://awindowintothewoods.com/2018/11/19/really/#like-11871 Brave little chickadee.